New economic sanctions on North Korean shipping and Chinese traders come after Trump declares North Korea a state sponsor of terrorism. The United States on Tuesday unveiled new economic sanctions targeting North Korean shipping and Chinese traders doing business with Pyongyang, AFP reported. The measures came a day after President Donald Trump declared North Korea a state sponsor of terrorism and warned of a string of new measures against its nuclear program. 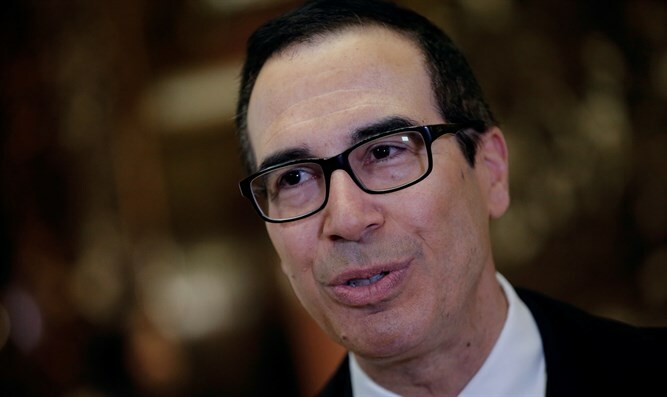 "These designations include companies that have engaged in trade with North Korea cumulatively worth hundreds of millions of dollars," Treasury Secretary Steven Mnuchin said on Tuesday. "We are also sanctioning the shipping and transportation companies, and their vessels, that facilitate North Korea's trade and its deceptive maneuvers," he added. Trump said on Monday that his announcement would be the first in a series over two weeks that would add up to a "maximum pressure campaign" against Kim Jong Un's regime. As had been expected, the Treasury's measures make use of existing U.S. directives against North Korean trade, but expand their scope to take in more companies and individuals. Most importantly, it expands the list of Chinese firms accused of doing business with the North despite promises from Beijing that it will honor UN-backed international measures. According to Mnuchin, the sanctions would not only increase Pyongyang's isolation but also expose "its evasive tactics." In all, the new measures add one individual, 13 trading entities and 20 ships to U.S. sanctions lists. Any property or assets of the firms involved that is found to be in areas under U.S. jurisdiction is to be frozen, and Americans are banned from trading with them. The Treasury also added the Korea South-South Cooperation Corporation to its sanctions list. The firm is alleged to have sent North Korea guest workers to China, Russia, Cambodia and Poland. Foreign workers are a major source of income to the regime.